Somerset will be without Steve Kirby for up to another six weeks as the pace bowler undergoes his second operation in six months. Kirby, 36, had been expected to return from shoulder surgery for the start of the County Championship season. He now requires ankle surgery to remove a loose chip of bone which has hampered his ability to run and bowl since the club's pre-season tour of South Africa. "I am very disappointed because it's been a tough winter for me," he said. "It is the first time in 19 years that I haven't been able to start a season." Somerset director of cricket Dave Nosworthy added: "This is not ideal news for Kirbs and for us as a team - however, these things are part and parcel of professional sport." 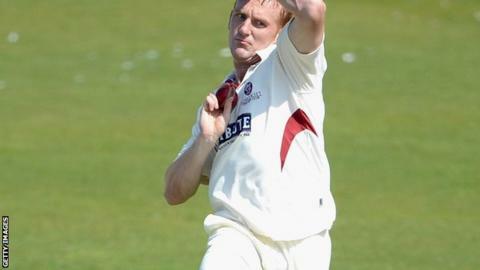 Somerset open their Championship campaign at home against Yorkshire on Sunday.